Volcano Bay water park, which just opened in May of 2017, is the first water park to join the Universal Studios Orlando family. With everything you’d expect from a water park – including plenty of water slides, lazy rivers, dining options, and more – this is a special place that Orlando visitors are going to fall in love with. One of the first things guests have said upon visiting Volcano Bay is that it’s unlike any other water park they’ve ever been to. In fact, Universal refers to it not as a water park but as a water theme park. As a result, you can expect incredible detail, lots of unique storytelling, and a totally immersive experience, just like we’ve all grown to expect from Universal’s Islands of Adventure and Universal Studios Florida. When Universal was creating this water park, they were certainly thinking of ways to make it as convenient as possible for all guests. This is why there are lots of family bathrooms throughout the park – most of which include private, roll-in showers – along with tons of seating, plenty of umbrellas in the sand, and a number of life jacket locations. The TapuTapu makes it easy to tour this park. 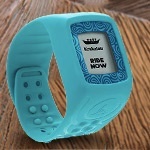 This free, wearable device (that’s designed to be used in the water) lets guests get in a virtual queue. Basically, they walk up to the slide they want, they tap their TapuTapu and it gives them a time to return. The guest can then head to a wave pool, get a bite to eat, or just relax on the beach while they wait for their ride time. 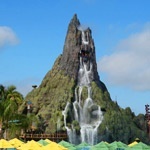 It may sound crazy, but the tallest peak in the state of Florida can be found at Volcano Bay water park. That’s right, Krakatau, the centerpiece of the park, is a whopping 200 feet tall. From the front you can check out some streaming, beautiful waterfalls, but on the other side you’ll see the clear tube of a terrifying water slide. Fiery lava effects come out at night. 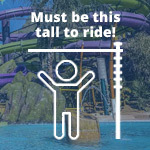 As is true of most rides at theme parks and water parks, the required height will vary based on the ride or slide you’re considering. 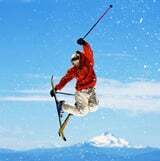 However, guests who are at least 48” can ride anything. The only limit is that there are certain toddler-only areas that only allow kids and parents. There are a few slides that require guests between 42” and 48” to ride with an older companion, and the beaches, rivers, and pools don’t have height restrictions. THE BEST ORLANDO WATER PARKS?